PICTURE OF HEALTH? This 15-year-old mangabey at the Yerkes National Primate Research Center in Atlanta has been SIV-infected for at least 10 years. In the past, physicians who treated AIDS patients understood that this deadly disease was one of immune deficiency. Their patients were immunosuppressed, subject to opportunistic infections, and had odd cancers. 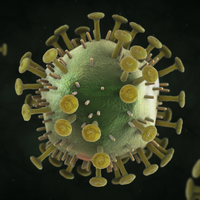 Today, because of continuing research on the human and primate immune systems and their responses to retroviruses, AIDS researchers realize that the immunosuppression associated with AIDS is a result of chronic immune hyperactivation. Evidence for this comes from research on a primate called sooty mangabeys, which lives in equatorial Africa. Sooty mangabeys normally contract simian immunodeficiency virus (SIV) through sexual contact. Despite evidence that SIV has direct toxic effects on CD4+ T cells, the monkey's immune system remains intact, as lost cells are replaced with new ones. This finding, published by Mark Feinberg and colleagues at Emory University School of Medicine,1 may be the clincher in a developing hypothesis: Virus-mediated, direct T-cell killing is not sufficient to cause AIDS; rather, chronic immune activation may eventually result in immune suppression. But the fundamental questions remain unanswered: Why does the mangabey's immune system prevail, despite SIV infection, while human immune systems overreact to HIV? What causes T-cell depletion in these immunodeficiency diseases? "I think the basic message is that AIDS is not simply a function of the virus. It is ... [also] how the immune system responds to the virus," says Feinberg. "The immune system, while it's chasing the virus, may inadvertently be a major driving force [in disease progression]. AIDS is the cumulative effects of the direct consequences of the virus and all the consequences that derive from a maladaptive response to the virus." Mangabeys, which naturally harbor and transmit SIV, don't have these maladaptive responses, he says. Feinberg's work is drawing praise from his peers, because, among other issues, he says it shows that primate species can evolve to tolerate HIV-like infection. "This is, of course, a lovely piece [of research]," says Frank Miedema, research director at the Sanquin Blood Supply Foundation in Amsterdam, Netherlands. HOW SOOTY MANGABEYS COPE During their first two years or so, mangabeys are virus-negative, but as they become sexually active, they become infected and produce antibodies to SIV. Like many other primate species, mangabeys exhibit no AIDS-like symptoms, even in the face of high viral loads. Feinberg and colleagues found that, although SIV does have direct toxic effects on CD4+ T cells, these effects are insufficient to cause AIDS. He ponders: "Do the mangabeys have any impairment of the immune regenerative compartments? No. Do they have a predisposition for uninfected cells to undergo apoptosis? The answer is also no." Mangabeys may be losing CD4+ T cells directly from viral infection, but they have no problem replacing those lost cells. The mangabey's naïve T-cell compartment, Feinberg says, is preserved and intact, unlike infected humans, in which naïve T cells are progressively devastated. In a typical viral infection, the increased number of T cells eventually gets the invading pathogen under control. But in HIV infection, the newly produced T cells serve as HIV targets, which leads to more T-cell production. "Almost certainly, in an acute [HIV] infection you get a lot of destruction of CD4+ cells directly as a result of the virus," says Daniel Douek, chief, human immunology section, Vaccine Research Center at the National Institutes of Health. "Enter into the chronic phase and that phase is hallmarked by high levels of immune activation, which the virus causes somehow." This combination of virus and highly activated immune system is deadly, Douek says, "because the virus, by far, prefers to infect and replicate in activated CD4+ T cells. Even more important than direct destruction of T cells by HIV may be the general chaos caused by the infection. For example, Feinberg, argues that indirect mechanisms may be prominent or even primary in T cell loss." Miedema notes that "HIV is driving the [T-cell] division, and also that naïve T cells are being recruited." Naïve T cells are those that have matured through the thymus, but have not yet been exposed to any antigens. The role that the thymus plays in naive T-cell production is one matter of contention. "The thymus cannot put more [naïve] cells out because the thymus is just really a dead organ in adults," Miedema says. But McCune awards a small role to the thymus, at least in young adults. Miedema, willing to concede that these are gray areas, says that the endgame in HIV infection results from an eventual lack of naïve T cells: "If your naïve cells are being recruited year in and year out, that will be the problem." Another complication: HIV mutates readily. "[HIV] tends to be able to mutate into new antigens," says McCune. 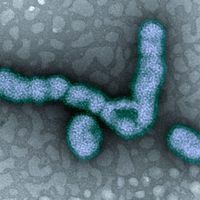 This, adds Feinberg, can allow the virus to escape from immune pressure. In HIV infection activated T cells show numerous dysfunctions: "They can make cytokine but cannot proliferate; [they] can recognize antigen but can't kill," McCune explains. Douek notes that "Although the HIV- specific T-cell response can effectively suppress viral load, we cannot really, with our hands on our hearts, say that control of disease progression depends on a high- frequency response." Long-term nonprogressors (people who are HIV-positive but who show no signs of disease for many years) "don't necessarily have stronger [immune] responses than rapid progressors." PRIMATE RESISTANCE Beatrice Hahn, University of Alabama at Birmingham, says that data on natural SIV infection exist on about 32 species of nonhuman primates. "With the exception of the chimpanzees, these primates seem to be infected at high prevalences through their natural habitat," and these prevalences seem to increase with age, she says. The prevalence in infants is usually 0%, whereas the prevalence in multiparous females may be more than 90%. 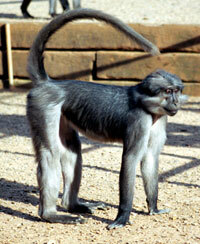 Yet these animals, like Feinberg's mangabeys, are SIV-tolerant. "We believe the other [nonchimpanzee] primate species have been infected for a long time," says Hahn, "maybe millions of years." Natural host species for SIV infection, says Feinberg, appear to share the same biology. 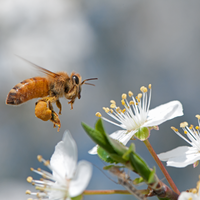 "These animals have high viremia and no disease, which would suggest that the choice that has been made in evolution [is to] tolerate the viremia." Feinberg notes a parallel to the human response to HIV: "For some reason, different people have either more or less immune activation following infection with HIV," which he relates to incompletely defined genetic factors of the host. Hahn points out that HIV may be much more similar to SIV infection in chimpanzees, which rarely are naturally infected. She believes that about 10,000 years ago, chimpanzees may have been infected through hunting and eating other SIV-infected primates. Hahn and colleagues have hypothesized that because of the genetic similarity between HIV-1 and chimpanzee SIV, HIV-1 jumped from chimpanzees into humans.3 Says Hahn, "I can tell you that the primates are chock full of SIV and I can also tell you that humans are hunting primates all over the place and are exposed and have been exposed [to SIV]." The adaptations of the chimpanzee immune system to SIV, notes Hahn, could well mirror what will occur in humans. Says Feinberg: "We may find that people have the response that's similar to the mangabeys." Myrna E. Watanabe is a freelance writer in Patterson, NY. 1. G. Silvestri et al., "Nonpathogenic SIV infection of sooty mangabeys is characterized by limited bystander immunopathology despite chronic high-level viremia," Immunity, 18:441-52, March 2003. 2. J.M. McCune, "The dynamics of CD4+ T-cell depletion in HIV disease," Nature, 410:974-9, 2001. 3. M.L. Santiago et al., "SIVcpz in wild chimpanzees," Science, 295:465, 2002. In 1993, Ellen Vitetta coauthored a paper on using an immunotoxin to destroy activated T cells, plus the immunosuppressant drug cyclosporine to inhibit quiescent T cells from producing HIV.1 Vitetta, director of the Cancer Immunobiology Center, University of Texas Southwestern Medical Center, Dallas, recalls that the idea of inhibiting HIV replication through immunosuppression--on a disease characterized by immunosuppression--was considered to be "totally idiotic." But, everything recycles. With newfound knowledge that AIDS results from immune hyperstimulation, she says that immunosuppression "could take a good revisiting." A number of immunosuppressants or immunomodulators against HIV are in early stages of study. Robert Wallis, University of Medicine and Dentistry, New Jersey Medical School in Newark, and his colleagues are treating patients who have both tuberculosis (TB) and AIDS with the immune modulator drug etanercept (Enbrel), which specifically inhibits tumor necrosis factor (TNF). In HIV infection, there is "sort of a progression toward AIDS, this chronic stimulation and chronic loss of cells due to apoptosis," Wallis says. In patients with TB, "It seems the progression to AIDS is more rapid." The hypothesis: TNF immune activation is related to apoptosis. Inhibit TNF, and apoptosis should not occur. Patrick Haslett, University of Miami, and colleagues are studying the effects of the immune modulator thalidomide. In vitro, in the presence of antigenic stimulation, such as HIV or cytomegalovirus, thalidomide costimulates CD8+ and CD4+ T cells, says Haslett. The researchers will test whether thalidomide is costimulating antigen-specific T-cell responses. "I think the effect of the drug is a lot more subtle than immunosuppression," he says. 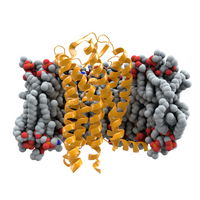 Previously used as an anti-inflammatory agent, thalidomide may be an immune activator. If they find that the drug stimulates antigen-specific immune responses, they plan to test thalidomide analogs that have a better safety profile than the original drug. 1. K.D. Bell et al. "Combined used of an immunotoxin and cyclosporine to prevent both activated and quiescent peripheral blood T cells from producing type 1 human immunodeficiency virus," Proc Natl Acad Sci, 90:1411-5, February 1993. 2. J. Saavedra-Lozano et al., "An anti-CD45RO immunotoxin kills latently infected human immunodeficiency virus (HIV) CD4 T cells in the blood of HIV-positive persons," J Infect Dis, 185:306-14, 2002.